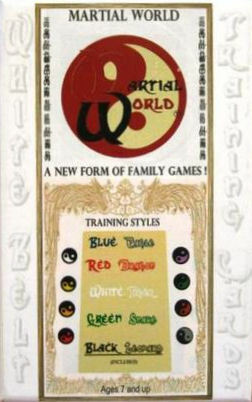 Martial World is an exciting card game focused on a simulated martial arts training process. The training process is not based on a real or specific martial arts training program. The development process is based on more than 20 years of martial arts research. So far those who have enjoyed playing include kids and adults who either participate in martial arts or anyone who has an appreciation for martial arts equipment, items or multimedia entertainment. No martial arts experience is necessary and anyone Ages 7 and up can play.